Pictured are rally attendees Pat Snedden, Mary Bush, Roberta Henderson and Cindy Hyde. Mary Bush won second prize in the Fall Rally’s wall hanging contest. TUPPERS PLAINS — TOPS OH#2013 Tuppers Plains met at the St. Paul United Methodist Church. Nola Easterling and Mary Bush were both recently awarded weekly best losers. Leader Pat Snedden called the meeting to order with The TOPS (Take off Pounds Sensibly), KOPS (Keep off Pounds Sensibly) Pledges and the Pledge to the American Flag being said. Applause was given to the KOPS for their weight loss maintenance. Cindy Hyde led the group in singing TOPS songs, “Deck the Halls” and “Pumpkin Wonderland”. A total of 14 members answered when weight recorder, Roberta Henderson gave the roll call. Mary Beth Morrison gave the Secretary’s report and Mary Bush gave the Treasurer’s report. The “Card Game” prize for most points went to Mary Bush. The “Marble Game” continues as there has not been a winner. A new competition began Oct. 29 and ends Dec. 10. The game is named the “Pin Game”. The main rule for the new game is that members must lose weight or stay the same at weekly weigh in. Each who does so will be awarded a bead for their pin. At the end of the contest those who have 6 beads (one for each week) will be eligible to win a month’s free dues. KOPS, Cindy Hyde and Pat Snedden performed a song/reading entitled “TOPS and KOPS”. Food Chart winners for September were Mary Bush, Glenda Hunt and Cindy Hyde. Those awarded for keeping an exercise chart for Sept were Mary Bush, Glenda Hunt, Mary Rankin, Cindy Hyde and Pat Snedden. In old business, members were reminded that the chapter’s TOPS Area Captain, Bob Silver will be visiting the Chapter on Oct. 29. Dec. 10 will be the group’s Christmas party. Each member wanting to participate may bring a $10 gift exchange and 6- $1 gifts. The $1 gifts will be used for prizes. Dec. 3 will be the group’s Chinese auction. 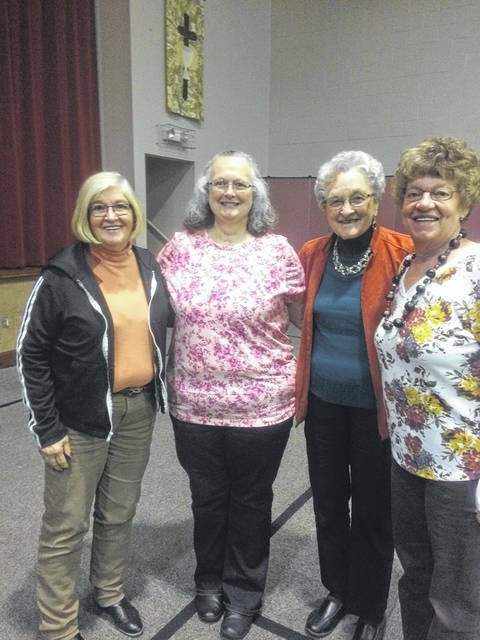 Four members attended the TOPS Southeast Fall Rally recently held in Worthington, Ohio. Several members received various awards in the TOPS Southeast Region. Roberta Henderson, weight recorder received the “Perfect Resume” award. Perfect attendance awards for July, August and September were presented to Glenda Hunt, Mary Bush, Roberta Henderson, Mary Morrison and Pat Snedden. KOPS attending the rally were Cindy Hyde, Roberta Henderson and Pat Snedden. Mary Bush received recognition for having no weight gain in the past 3 months and for having lost 10 pounds or more in the same time frame. Cindy Hyde and Roberta Henderson received recognition for being at or below goal for the 3 month period of time. Mary Bush won second place for her wall hanging and Mary Beth Morrison won for the rally’s program cover. Roberta Henderson was named Chapter Angel. Connie Rankin led the chapter in the “Tops Enthusiasm” song. TOPS information can be obtained from the TOPS website at TOPS.org or by calling Leader, Pat Snedden at 740-541-9696. Weekly meetings take place on Mondays at 6 p.m. at the Tuppers Plains United Methodist Church, 42216 State Route 7, in Tuppers Plains, Ohio. https://www.mydailysentinel.com/wp-content/uploads/sites/14/2018/11/web1_11.6-Tops-1_ne2018115162851974.jpgPictured are rally attendees Pat Snedden, Mary Bush, Roberta Henderson and Cindy Hyde. 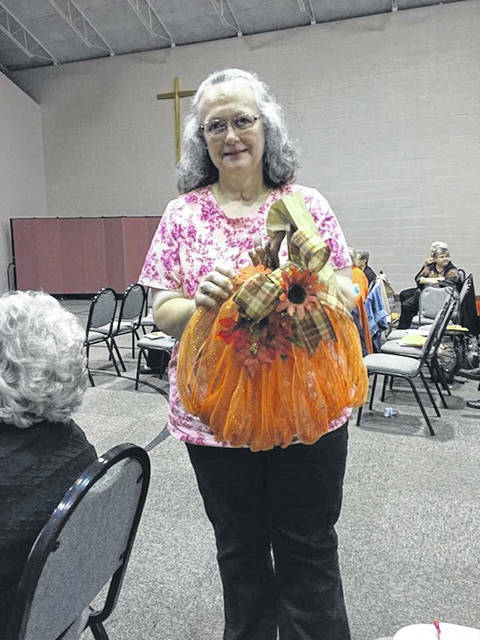 https://www.mydailysentinel.com/wp-content/uploads/sites/14/2018/11/web1_11.6-Tops-2_ne2018115162857213.jpgMary Bush won second prize in the Fall Rally’s wall hanging contest.